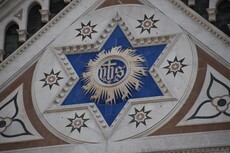 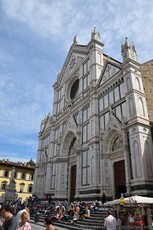 The Basilica of Santa Croce is quite grand as you can see from the photos. 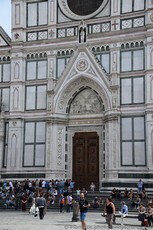 Many famous Italians, including my childhood science hero Galileo Galilei, have their tombs inside the cathedral. 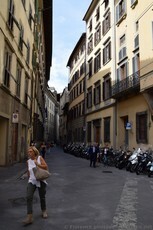 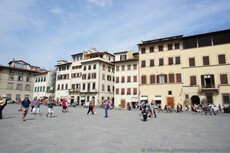 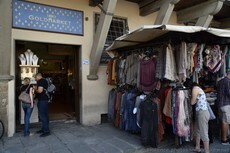 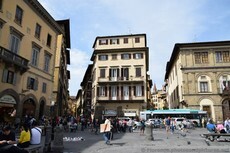 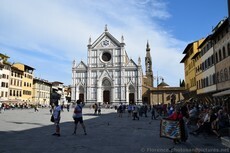 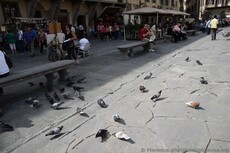 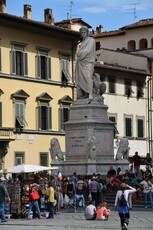 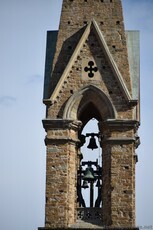 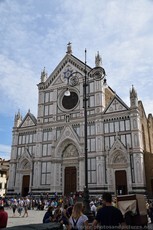 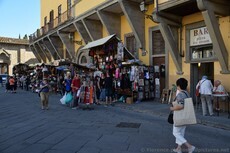 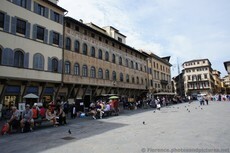 The Piazza Santa Croce itself was a gathering place for many of the tours. 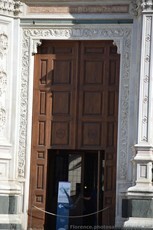 As buses cannot park here, this was the meeting point where a guide would meet and then take guests to and from the buses.